includes 3 different buildings .The first building is two stories tall and located in between the other two. The other two buildings are both three stories tall. This unique layout creates a warm, intimate setting, while maintaining the privacy of each section of the hotel. Delicately designed with special themes for each zone. THE HOME ZONE : The 2-story building in the middle; is the center of our hotel. This is where you will find the lobby, restaurant, and pantry corner. The home zone does not only make you feel at home but it is classy with tasteful decorations and a sweet setting. THE UNIVERSE ZONE: 3-story building located by the poolside area and courtyard garden. Nothing is more romantic than a star filled night sky. Our Universe Zone rooms are located next to our glistening pool where we put hundreds of fiber optic lights in the pool tiles to create the illusion of a romantic night sky. Each floor has different decorations; the 1st floor is the “Ultimate Star”, the 2nd floor is the “Trendy Sun” and the 3rd floor is the “Intimate Moon”. Universe zone rooms are unique and romantic perfect for anyone. THE NATURAL ZONE: The 3-story building at the garden side area near The Home Zone. Designed with nature and harmony in mind, we bring the peace of a lush garden into a pleasant atmosphere. Every floor has its own identity of to emphasize the preserved environmental concept. The 1st floor is the "Boutique Park” a petite garden you can walk through, the 2nd floor is “Your garden," this is where we will plant your flowers given to you in front of your rooms, and the 3rd floor is the “Natural Jungle" which is designed to look like a rain forest. Every moment you will feel involved as a part of nature with a pleasant memory of your stay at U-Tiny. Our one bedroom suite is serene and tastefully decorated with comfort in mind and all the space you need for the utmost of relaxation. 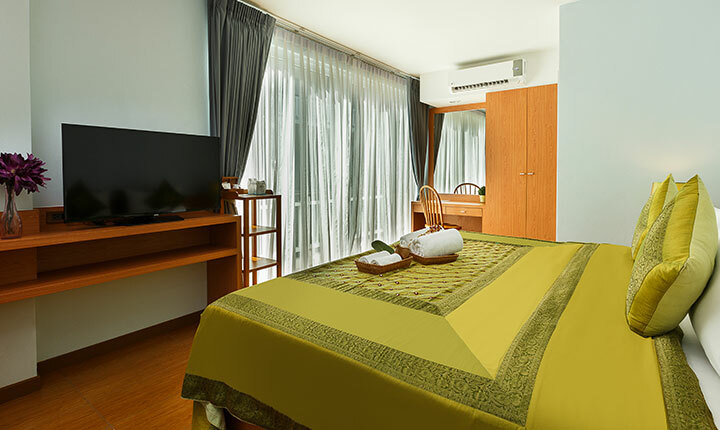 This suite is a perfect suite for family, group of friends and long staying guests. 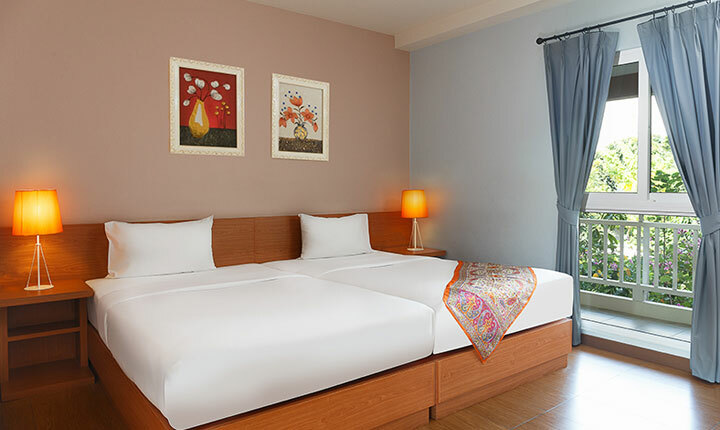 Ultimate decoration in all double room for the most comfortable and relaxing with touch of greenery garden and scents of flowers, just a few steps out from your room. 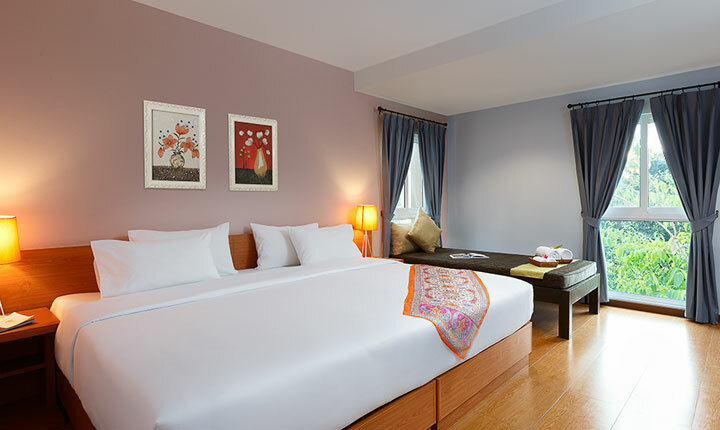 Spacious and trendy room design on the ground floor with a few steps from room to the lobby, pool and greenery garden. 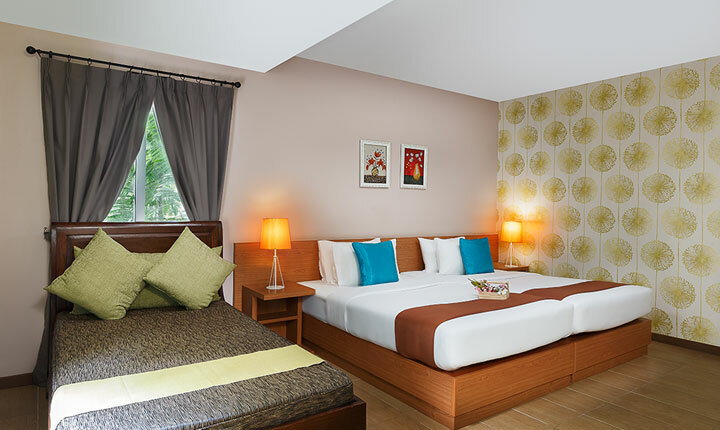 All double room with spacious and sophisticated design give you the comfort of your desires, enhanced with a view of our beautifully manicured indigenous gardens. Quad Day Room for relax, refresh, connect and sleep in your own personal space.